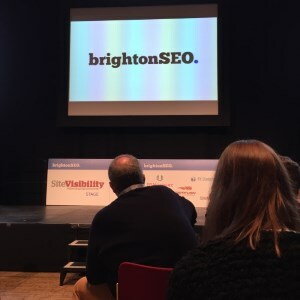 The Anicca Digital team headed to one of the biggest events in the SEO calendar last week, Brighton SEO, to ensure we’re up to speed on the industry’s latest advice, techniques and findings. As part of the PR and Content team here at Anicca, I soaked up anything and everything content and links-related, looking for new techniques we can implement to continue to be ahead of the curve and develop even better content for our clients. Being content focused, it can be easy to look towards the techies for advice when wanting to improve how a site performs, but there are a few simple tricks that we can all do that can make a serious impact. Demonstrating that every second counts, Walmart achieved a 2% conversion increase for every one second of improvements, making it an important aspect that shouldn’t be overlooked. Images – add the most unnecessary weight to your website, are the easiest to rectify. Compress by 70-80% to reduce page weight. Fonts – automatically added as all weights and styles for visibility across browsers. Consider how many of these are necessary and choose the font styles you need to further reduce weight or choose externally hosted fonts, as users are more likely to already have these. Find out more by taking a look at the slides here. The first and only Brighton SEO talk involving a Frozen metaphor – that we know about – Conor’s presentation covered clunky audience demographics, slow moving approval processes for content, professionalism killing off creativity and how to avoid all of the above. Speed – build a quicker approval process with your client in order to keep momentum and deliver new content in real time. Professionalism is bad – well-established companies have legacy and brand issues that can prevent them from being creative, compared to newer ones like AirBnB and Innocent, which are fresh and innovative with their content. Learn to ‘let it go’. In short, rewriting the rules can increase creativity and help to create something magical, while delivering realtime results for your clients. While the overarching theme was quality over quantity when it came to this year’s content-related talks, Amy took it one step further with her prediction that thinking like a journalist is the next evolution in content marketing. Outreach like a journalist – write for people, not for links. Create quotable and sharable content that earns links and that journalists, bloggers, etc want to use and share with their audience. In September, Brighton SEO will be moving to its new home at the Brighton Centre, after outgrowing the Dome. We look forward to the bigger and better version, complete with sea view.